Comment: Ants come back with the warm weather. They stay in the sunroom only. Cost and process to exterminate them? Comment: We need to have a WDI Report for our house. It's part of lender requirement. Please let us know the best price for the service. Thank you! Rockville Pest Control Services are rated 4.67 out of 5 based on 2,609 reviews of 25 pros. 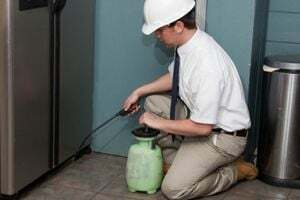 Not Looking for Pest Control Contractors in Rockville, MD?